You can login as sys/oracle using the SYSDBA role. 3.2 G , 解開後, 好像有個目錄是給 Mac OS 用的 vmware image , monster 用那個看起來比較正常的 , 馬上用 vmware converter 把它轉到 Vmware ESXi server 去 , 作者建議memory不要低於 768MB , 轉好後就啟動啦. 照它的說明把 Oracle startup 很順利….. 馬上就有一個 oracle 可以用. 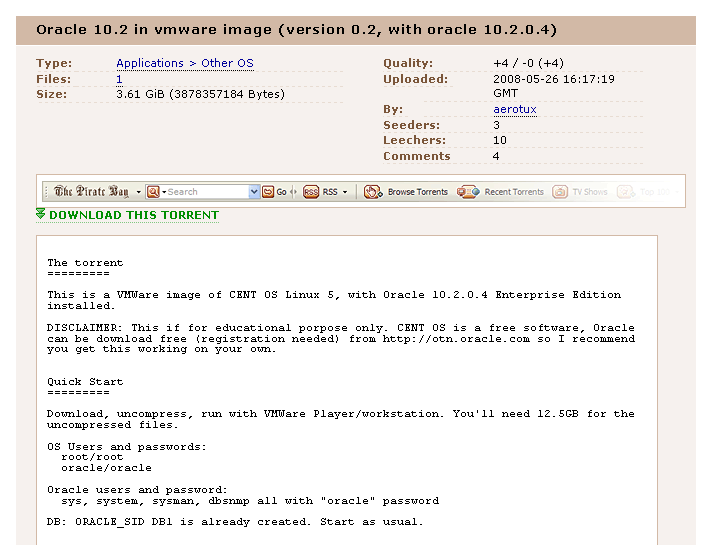 This is a VMWare image of CENT OS Linux 5, with Oracle 10.2.0.4 Enterprise Edition installed. DISCLAIMER: This if for educational porpose only. CENT OS is a free software, Oracle can be download free (registration needed) from http://otn.oracle.com so I recommend you get this working on your own. Download, uncompress, run with VMWare Player/workstation. You'll need 12.5GB for the uncompressed files. DB: ORACLE_SID DB1 is already created. Start as usual. Read ahead for detailed instructions. Start the virtual machine. 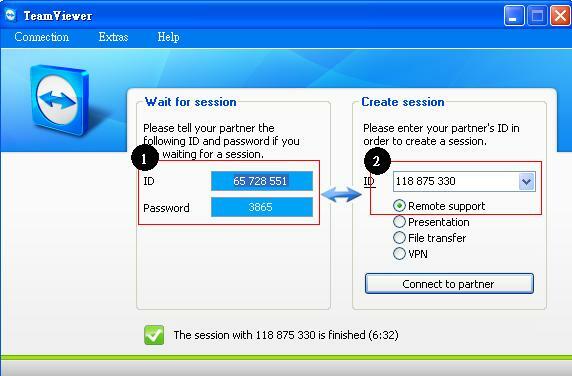 You can use VMWare player which is a free download. Double click on sles.vmx (don't be distracted by the name, this is not a suse linux, it's a Cent OS, but I base the configuration on a suse vm). NOTE: Virtual machine is setup to use 768Mb of memory. I don't recommend downsizing this value, specially if using the DBConsole. Database uses less than that, so you can change it safetly to 512Mb, but the DBConsole won't probably start. After starting the VM you should get to a graphical login. Login as oracle and open a console. You have two ORACLE_HOMEs installed (run .bash_profile to choose one of them at any time from the oracle shell). First home (server on /u01/app/oracle/product/10.2/db_1) is where the database is software is installed and DB1 instance was created. All oracle users (sys, system, sysman, dbsnmp) were created with the "oracle" password. Second home (client on /u01/app/oracle/product/10.2/client) has the Java Enterprise Manager console installed. This is a client/server tool to admin the database (works for previous releases too). From 11g this tool is no longer provided, but since it's very popular as of today, I'm installing it here. Start it with $ oemapp dbconsole (just type oemapp to see all products available). 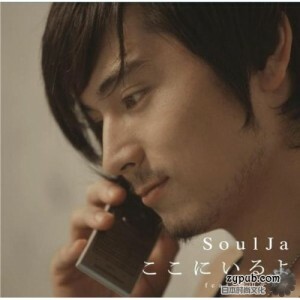 Listener only listen on localhost (127.0.0.1). To access the database from your network you'll have to make sure that VMWare networking is working properly. By default it's configured as "Bridged networking" (see vmware docs for details) and inside you see the network card as eth0, configure with DHCP. Once you can ping the box you can modify the listener.ora file and add the new IP to listen to, and restart it. DBConsole configuration to listen on that IP can be a bit tricky (try setting the iP on the ORACLE_HOSTNAME env var and then reconfigure with emca -reconfig dbconsole db). You can also access it with SSH port fowarding if you know how to do it. * Better "documentation" with torrent. 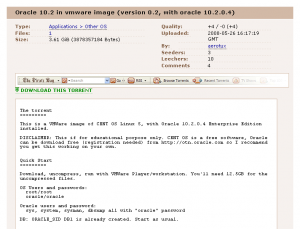 * First release: Vmware image with CentOS 5, xfce4, and oracle 10.2.0.3 (server and client). DB1 already created. * Known bug: dbconsole not working properly. You can post questions on the comments, althought I don't see them so often, but maybe somebody else can help you. If you need oracle support, you can search the web for help or you can have professional support from us by an email on the comments (good prices, senior dbas). !!! dev-db/oracle-instantclient-basic-11.1.0.7.0 has fetch restriction turned on. !!! manually. See the comments in the ebuild for more information. SyntaxHighlighter Plus 還方便, 雖然沒有 syntax highlight , 不過就是簡單, 再說 blog 上面也不適合放一大串的程式碼不是嗎?